Genius Patch is an education enrichment program providing services to support the 90% of learning that occurs outside of the classroom. Through our unique approach, we give all children the opportunity to experience success with learning by adding creativity and excitement to traditional material. Genius Patch intentionally focuses on providing resources that makes learning fun for the child and the facilitator. With our guided activities, training and workshops, parents, educators and educational organizations will be able to engage children in the learning process in a more significant way. Currently, Genius Patch provides summer camps, after school programs, workshops, pop-up events, author visits and more. "Every child deserves the chance to experience success with learning. They deserve to see their own brilliance in a positive way. Doing so makes them more capable and powerful than any of us may ever know." Genius Patch is the proud recipient of its first award! Thank you to our team for all of the hard work they do to create programs the center on and promote diversity! Genius Patch is a Michigan based 501(c)3 nonprofit organization serving children. Its programming was born one very eventful day in the winter of 2015. A young, newly published author visits a local Metro Detroit school to read her latest title to a group of 4th grader students. As she prepares to pat herself on the back, a student approaches her. He expresses, with conviction, to her that she could not be an author. The author was shocked, but she composed herself before asking the 4th grade student why he thought that she could not be an author. His response, "all authors are old, white men with glasses". To create a world where every child has a chance to succeed based off of their own unique gifts and abilities through the guidance of caring community members including parents and educators. "To engage historically underprivileged children with accessible programming that makes learning exciting and meaningful for them." Support is provided directly to the child, to the parents and to educators allowing for the child to have the essential support needed at home, at school and in the community. Genius Patch's programs are designed with a foundation of literacy. Founded in the city of Detroit, Michigan where the adult literacy rate is 47%, we seek to solve this issue. I approach was developed utilizing the unique perspective of a children's author of color born and raised in Detroit. Representation of children of color in children's books is very limited. In 2016, 3,400 children's books were published. Of those 3,400 books only 287 books had a black main character, of those 287 books, approximately 30% were written by black authors. Until the issue of representation and imagery is resolved, the chance that a child of color will learn to value literacy and books is slim. 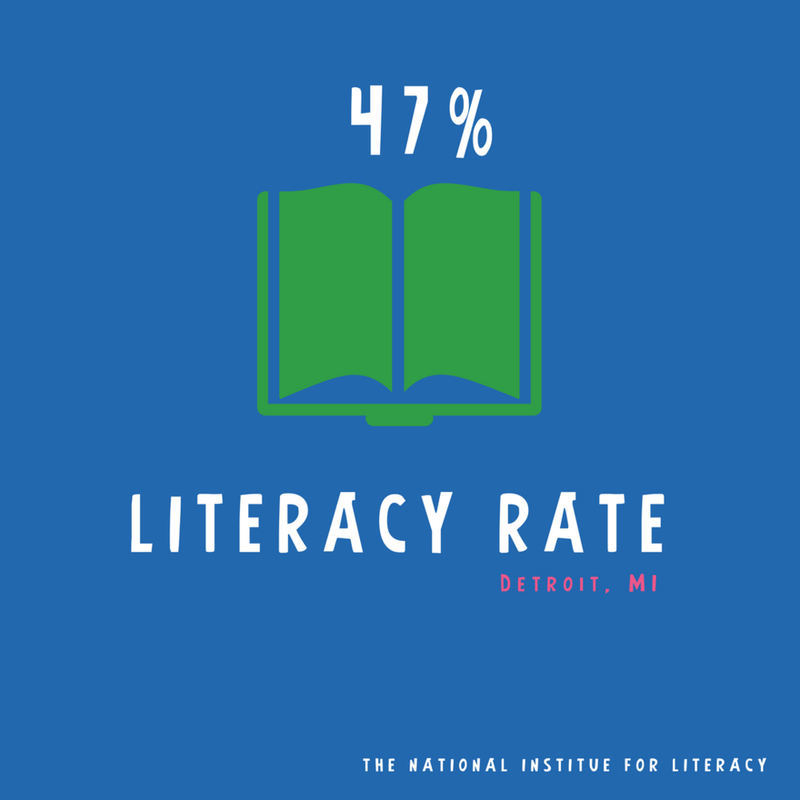 When less than 50% of the Detroit adult population is literate, the opportunity to love literacy becomes even slimmer, where as the behavior of reading is not modeled in the home and being read to as a young child is less likely to occur. We have found that these same issues exist beyond the Detroit and US borders. Because of this, Genius Patch is dedicated to providing every child with the opportunity to succeed. Although literacy is a principle focus of our program, it is used as the primary tool to solve another larger issue that is constantly being reformed: the approach to education. It has long been thought that education within the school house is the only education required for success. We, however, support the ideology that traditional schooling is a "supplement" to the learning that occurs in the natural world and at home. How children perceive themselves in relation to the world around them is one of the highest indicators of both success and overall fulfillment in life. Using books with characters who look like them and overcome obstacles to achieve success provides children with a workable framework to navigate life and develop confidence in their own abilities to succeed. Giving children a relatable situation to discuss and reflect on provides them an opportunity to critically think and form opinions of their own. Storylines that provoke interest and curiosity encourage children to explore worlds and subject matter that they may have never known existed. Our programming seeks to provide children with the chance to succeed by providing the opportunity to view themselves and their ability to learn new material through hands-on, activity based programming with literacy as a foundation. We recognize that a positive relationship with education and learning is even harder to achieve for children coming from historically under-served, underprivileged and under-resourced environments. Our primary goal is to serve the children of these groups. Since 2015, we provide programming focused in the areas of Performing Arts, Literacy, STEM based activities, Social Emotional Awareness, and more. Although our principle focus is children, we also provide support to caring community members including parents and educators. Doing so builds a strong support village that is prepared and capable of guiding our children to success. Campers form a special bond with caring community members serving as facilitators. We empower children to use their imagination and voices to create stories of their own. "Mrs. Ashlee" presentes ways to incorporate literacy into all subjects making it easier to streamline lessons and introduce new materials to students. We empower our parents to participate in the fun helping their child to develop a great relationship with learning. Our pride is placed in our ability to get children engaged in the learning process. We provide programming in a various settings including summer camps, after-school programs, school visits, one-off workshops, pop up events and more for children. During our programs, children are introduced to a children's book with characters and storylines that they can form a positive relationship with. After reading the book, attendees are engaged in a hands-on activity related to the book. Doing so allows the children to reinforce ideas learned in the story and apply them in the real world. It also provides an additional opportunity for children to have a positive experience with reading, supporting our goal of resolving literacy issues among children and adults. Genius Patch provides programming for both parents and educators. The process of engaging their children in the learning process can be intimidating for parents. We support parents by showing them easy to implement tools to get their child excited about learning at home. Our parent workshops equip attendees with practical ways to integrate learning in their daily routine to maximize impact and exposure to the natural world around them. We love partnering with educators to find ways to make the preparation of learning material and implementation more efficient. This allows our educators to spend more time actively involved with children in the classroom. An important secondary benefit is improving the work-life balance of our educators, allowing them to show up to classrooms with more focus and general satisfaction in their role. Find our program locations, host a workshop, explore our resources & more. Need to reach your child in new ways and positively influence them? Ready to create a life long learner? Ready to learn how we do what we do? Genius Patch was founded by published children's author Ashlee Chesny. Chesny, who is affectionately known to all of her program participants as Mrs. Ashlee, is on a quest to change the way we approach education and childhood development. Mrs. Ashlee believes that each child is brilliant and possesses a bit of genius that we must help them find. Using her books, her gift of storytelling and her own presence, Mrs. Ashlee designs programming based on her books for children ages 2-12. In 2016, Mrs. Ashlee was recognized for her work in the community through Literacy Come to Life by both the B.A.L.L Foundation's Excellence Under 40 Award and Congresswoman Brenda Lawrence. Keep up with this passionate, game-changing literacy enthusiast and child advocate at ashleechesny.com. Genius Patch is made successful by caring, creative, compassionate individuals from the community. Our team is comprised of special friends from many backgrounds including higher education students, retirees, makeup artist, personal trainers, media professionals and many more. We are currently proud to partner with Michigan State University through their Civic Engagement programming, New Prospect Missionary Baptist Church and the At the Lighthouse After School Care Program. 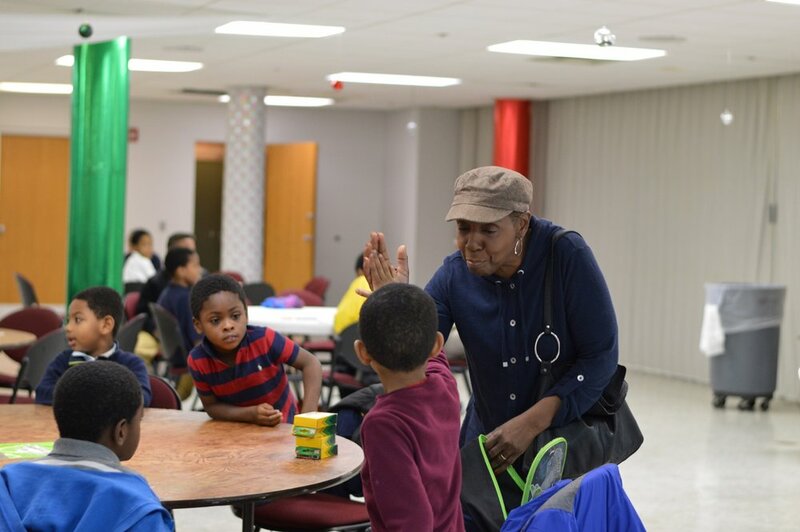 Our team provides workshops for children, parents and educators throughout the Greater Detroit Area, including Detroit Public Schools and Oakland Livingston Human Services. Anyone can become a part of our team, as long as they are at least 21 years of age and have a love for children. 2018 Genius Patch. All Rights Reserved.